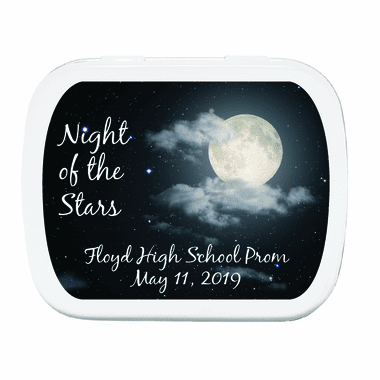 Starry Night Prom mint tins are personalized to suit your special night under the stars! 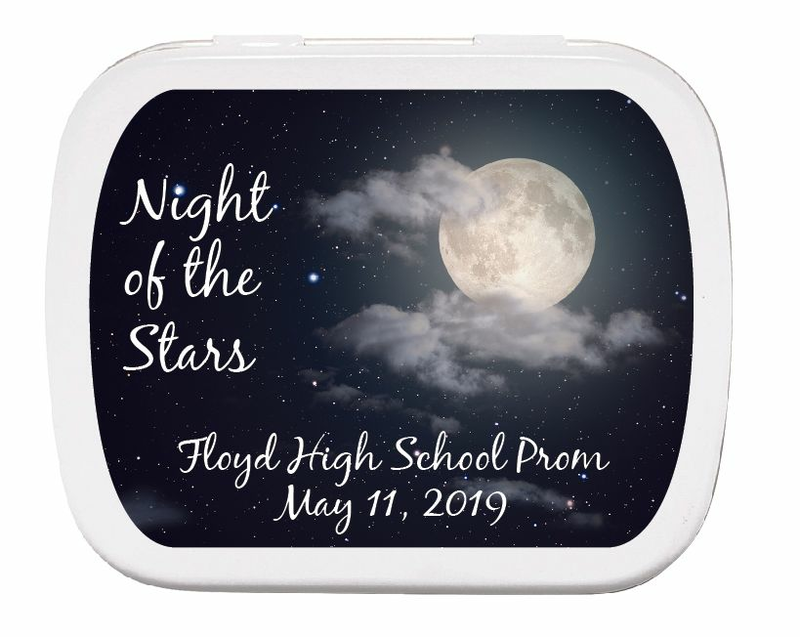 A glowing moon and starry sky are all it takes to create a quality of mystery and magic and this prom giveaway marks lovely times spent with some of your favorite friends. 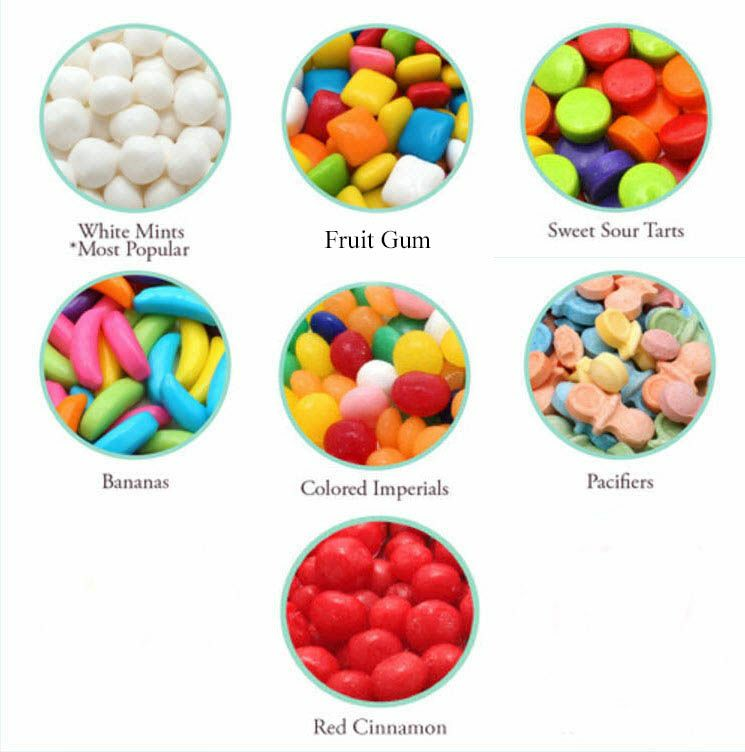 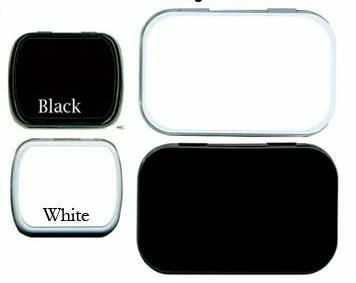 All tins come completely assembled with personalized label in a black or white tin and the candy of your choice inside.